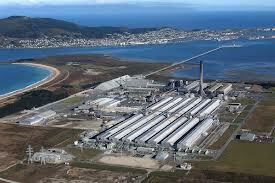 No one would question the fact that the life of the Tiwai Aluminium Smelter would eventually come to an end. One could also say that gifting cheap power to a multinational company by seriously reducing the flow of Southland's largest river and building a power station in the heart of Fiordland was a dumb idea in the first place. However the deal was done, the smelter and power station were built and it resulted in providing around 3,000 jobs for the Southland region. Our relationship with the smelter has been a rocky one, with many workers suffering from poor health and difficulties in dealing with waste products. Although Rio Tinto probably gets a good deal for the power it uses (15% of New Zealand's total production), each renegotiation of the agreement has seen the company threatening closure or the layoff of staff to lever a better one. The price of aluminium is in decline and although Tiwai produces a high grade product, Rio Tinto have voiced disquiet about their involvement in the industry. The situation could not be better for them in negotiating new terms; New Zealand needs jobs and the Government needs a stable power market to sell off 49% of our power companies. Rio Tinto has us over a barrel. While I have never been a great fan of the smelter, the fact that we have a substantial number of workers, businesses and families reliant on its existence is a huge concern. It does look as though the only way forward, in the short term, is to offer Rio Tinto a deal that will essentially subsidise the smelter's operation. This is a terrible situation to be in and one that shouldn't have been allowed to happen. This Government and the previous Labour Government could have been far more proactive in ensuring that our economy wasn't so dependent on market solutions to determine our economic resilience. The demise of the smelter and the availability of extra power was always going to happen at some stage and some preparation for that inevitability would be logical. Aluminium production is not really an indigenous industry, the raw material used to make it (bauxite) is shipped from Australia and it is only the attraction of cheap power that made it viable in the first place. This National led Government has simplistically decided that the way to economic riches is to emulate Australia by opening our country to overseas companies for the extraction of coal, oil and gas. This has been an unmitigated disaster with the demise of Solid Energy and the pull out of Petrobras. Rather than support existing industries, and developing sustainable ones with potential, this Government has focused on get rich quick schemes. The Government has heavily supported mining and has even tried to get support for digging up our national parks. It has desperately tried to remove barriers to the extraction of fossil fuel by weakening the RMA, to the dismay of Guy Salmon and the Commissioner for the Environment, and increasing the legal consequences for those protesting against it. Meanwhile our forest industry has suffered from the deliberate watering down of the ETS and the devaluing of the price of carbon credits and our traditional industries of meat and wool have been left to stagnate. Regional development and the exploration of new industries have been largely abandoned by central government and the potential of resources other than fossil fuels have been deliberately ignored. The value of the high quality silica in Southland was not properly explored, while digging up the highly polluting and low grade lignite was encouraged instead. If the possibility of a silica smelter had been pursued earlier it may very well have meant a smooth transition from one smelting industry to another with employment levels maintained and a new use for the surplus power. If only we could plan for the inevitable and not continually expose our workers to a boom and bust economy. Jeanette Fitzsimons has thought of another transitionary solution for the aluminium smelter that could be worth pursuing.